Rate this project Mark Greaves has announed the release of an version of Peppermint OS 9. 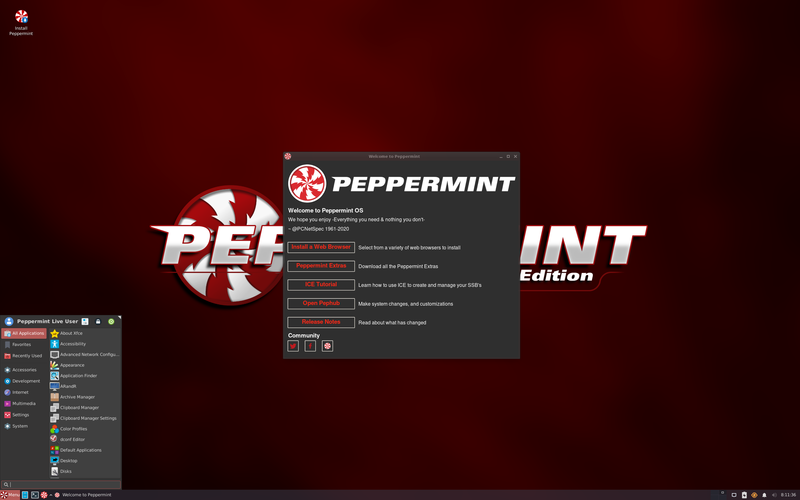 Peppermint OS is a lightweight distribution based on Ubuntu and featuring a combination of local and web-based applications. The new version is based on Ubuntu 18.04 LTS and offers a number of improvements: "Swapped VLC for Xplayer (we've had reports that VLC has been getting a little 'flaky' for some users over their last few releases). 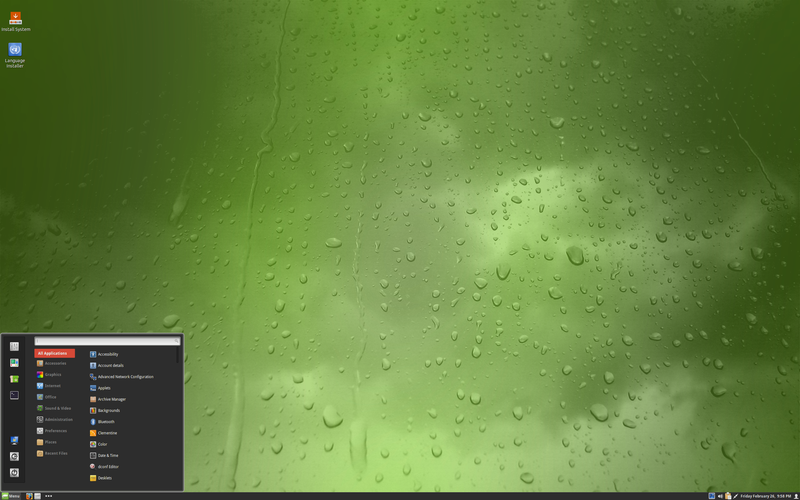 Removed the Linux Mint 'Levels' from mintupdate (in line with our update policy, not Linux Mints). Fixed the ICE applications 'Where in the menu ?' category names, so they now match the Xfce Whisker Menu categories (i.e. 'Sound & Video' renamed to 'Multimedia', and 'System Tools' renamed to 'System'). Added 'Accessibility Settings' utility to the Peppermint Settings Panel 'System' Category. Added 'Enable/Disable Neofetch' utility to the Peppermint Settings Panel 'Tweaks' Category. Added 'System Information' utility to the Peppermint Settings Panel 'System' Category. Added a 'Transparent' wallpaper (so users can now set solid colour backgrounds via the 'Wallpapers' utility)." Further details can be found in the project's release announcement. Download links and checksums are available on the distribution's home page. Download: Peppermint-9-20181222-amd64.iso (1,356MB, signature, torrent, pkglist).